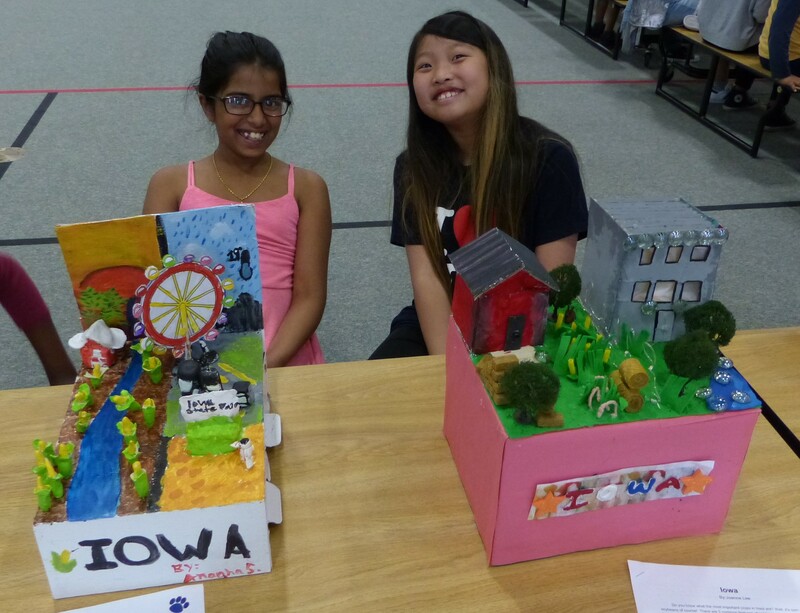 Fourth grade students had their annual State Fair May 2. Students spent time researching and writing about a state. 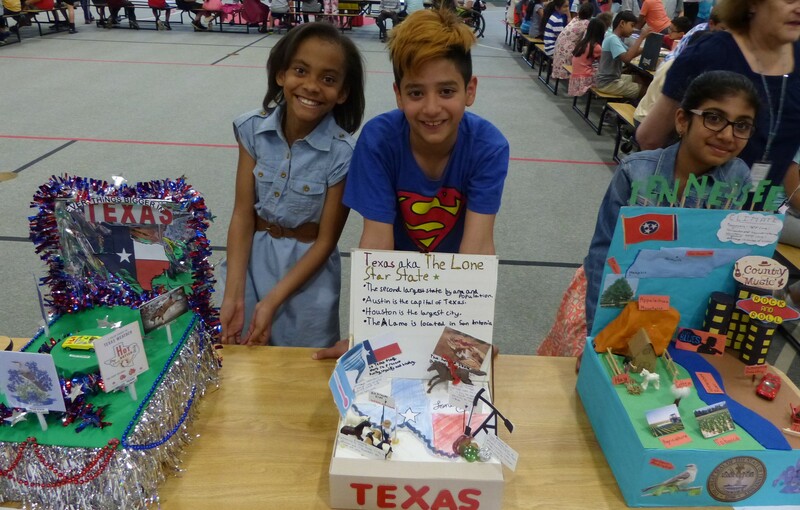 They used their research to create a state float. 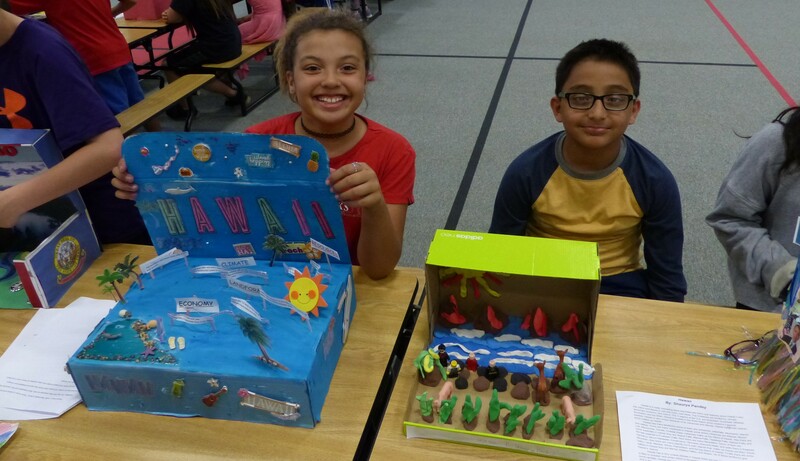 Students shared their floats with other students at school during the day and then with families in the evening. Students also sang our national anthem, the Neil Diamond song, "Coming to America " and the "50 Nifty United States" song during the evening event.